Spectra has announced the launch of new broadband products for growing businesses. Spectra has raised the bar in the segment with 1 Gbps packages across the most value intensive packages. 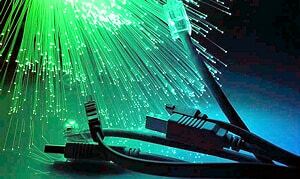 Spectra is the only ISP in the country with 100% fiber-to-the-home (FTTH) network. “At Spectra, we believe that broadband truly is the gateway to the digital transformation our country needs today, and the biggest shift is required at the foundation of our economy: growing businesses. Our business solutions are geared towards enabling every small business by providing the digital backbone they need” said Udit Mehrotra, CEO, Spectra, on the occasion. With Spectra, growing businesses can now choose from the two solutions: broadband and broadband with a static IP, with speeds options ranging from 200 Mbps to up to 1 Gbps. Both solutions are available in monthly, quarterly, half-yearly and yearly subscriptions and with exponential benefits on longer term subscriptions such as double data volume and even free subscription for 3 months. Adding to the Spectra positioning as an SME specialist Udit said “Growing businesses have unique needs of faster speeds, higher upload and download data volume, connectivity for remote employees, managed Wi-Fi and security – and they are always asking for a customised and integrated experience. We are passionate about seeing businesses grow. With our augmented product road-map we are introducing many variants of internet products followed by range of managed service and integrated products from router & security to SDN & managed LAN offerings. Spectra boosts broadband product for growing businesses 0 out of 5 based on 0 ratings. 0 user reviews.